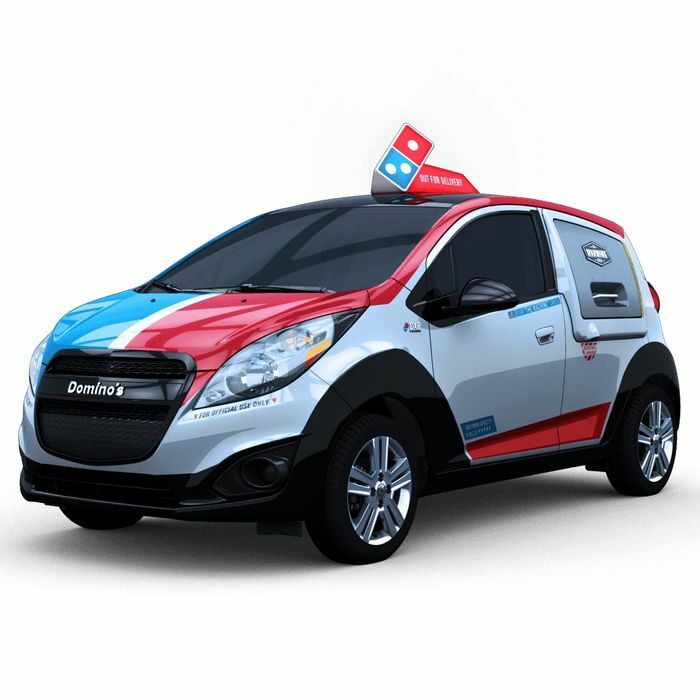 It’s not the much-awaited advancement of delivery by drone, but Domino’s — the tech mastermind behind the one-tweet pizza order and that overly enthusiastic virtual assistant Dom — has introduced a custom car tweaked for maximum pie delivery. It’s called the DXP (short for “Delivery ExPert,” unfortunately), and it’s a heavily modified Chevy Spark that comes equipped with a warming oven and can haul around 80 pizzas at once. It’s pretty much a pizza driver’s dream ride. The DXP can get 39 mpg on highways, the extra seats have been ripped out to accommodate a napkin dispenser and sauce bins, and the doors to the constant-140-degree oven in back got the full gull-wing treatment (obviously inspiring yesterday’s obligatory Back to the Future tweet). It sounds like a gimmick — a utopian stunt car not that different from the Domi-No-Driver driverless vehicle the chain “revealed” on April Fool’s, but the car is in fact very real. Right now there are 97 DXPs on the road. There’s even a handy map to check if the pizza car of the future is anywhere near you.